We have found over the years that kids do not like freezing, especially freezing plantar warts. Children remember how uncomfortable or painful freezing can be. 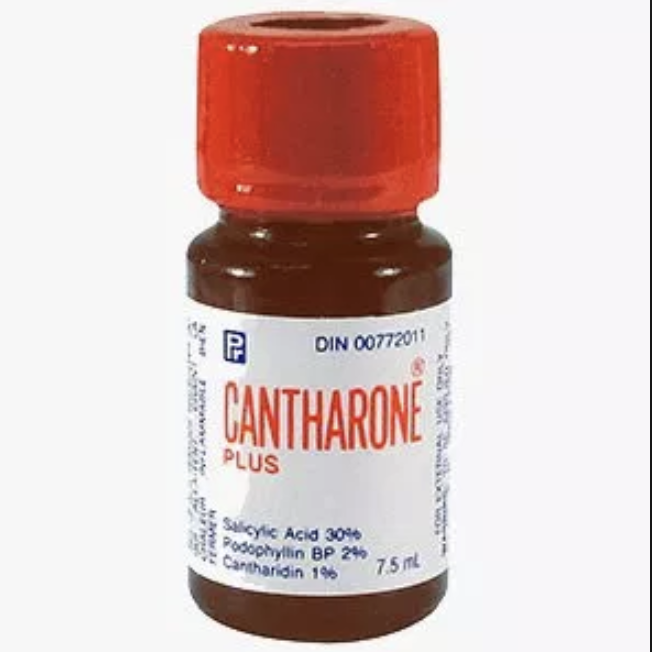 Therefore whenever possible we use cantharone plus instead of freezing. This Cantharone treatment also has the nick name of "Beetle Juice". The cantharone comes from Blister Beetles. It is a great treatment because it is very similar clinically to freezing, but does not hurt. And we can titrate this cantharone treatment. For example if we have our patients leave the cantharone on for 1.5 hours that may be all somebody needs and also they should cause minimal discomfort in the days following treatment. However some of our patients want the most aggressive possible treatment. Therefore may have them leave it on for 5 or 6 hours and this can cause more discomfort for several days afterwards as it can cause a very deep blood blister. This is similar to what would happen with freezing but again there is no pain with the initial treatment with the cantharone and the freezing is very uncomfortable. If one of your children has plantar verruca that are difficult to treat we would be happy to see them. Either myself Dr. Timothy Young or my partner Dr. Brandon Nelson would be happy to see them. Give us a call at 425-391-8666 or make an appointment online today.